The eLearning Instructor serves as a key member of the eLearning Program of the Office of Educational Development (OED). 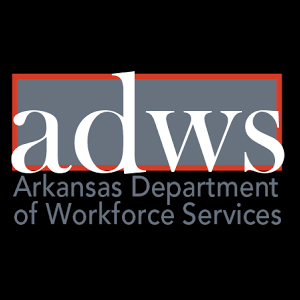 S/He collaborates with faculty and staff using adult learning principles to guide and support implementation of technologies designed to enhance educational activities provided by faculty of the five colleges and graduate school of UAMS. 1.Develops and delivers training to UAMS faculty and staff regarding supported eLearning tools such as Blackboard or Blackboard Collaborate using face-to-face and web-based strategies. 2.Develops and designs educational content using eLearning tools. 3.Identifies and evaluates new technological tools for evolving use in educational activities offered at UAMS (test patches, upgrades, and new versions of tools). 4.Serves as a resource and provides direct consultation to faculty regarding application of eLearning tools to support educational strategies as in-class, out-of-class, online learning; problem-based learning; team-based learning; service learning; and Interprofessional Professional Education (IPE). 5.Provides consultation and support to faculty regarding application of instructional design and educational principles of eLearning assessment tools. 6.Participates in OED departmental initiatives and activities as needed such as: backup for Web pages, course reviews, and faculty/course evaluations. 7.May perform other duties as assigned. •Master’s degree in instructional design, educational technology, or a related field. •Experience with administration/technical support of Blackboard (or other LMS) and educational technology. •Experience supporting instructional technology and online learning resources. •Excellent interpersonal skills and the ability to build and maintain positive working relationships with peers and clients. •Ability to effectively manage multiple activities under time constraints. •Excellent skills with a learning management system (preferably Blackboard and its related tools such as Collaborate). •Familiarity with software tools to develop learning and multimedia objects, such as SoftChalk, Respondus, PowerPoint, Camtasia, Articulate, Storyline, ExamSoft, HTML, MS Word & PowerPoint, Sharepoint. •Strong writing, editing, and proofreading skills. •Interpersonal and communication skills to work with customers and team members. •Teaching experience in medical education, healthcare, or higher education. •Experience in encouraging use of software tools to improve educational outcomes. •Experience in working independently or as part of a team to support faculty with design and delivery of curricula for degree, continuing education, and faculty development programs.